In 1958, a used building materials dealer nearly got permission to demolish the buildings and the right to claim the salvaged stone, brick and timber as the price for his work. The abandoned buildings were given a new lease on life when a group of civic minded citizens realized that there was yet another historic role for the unassuming two-story house at the corner of Main Street and what is now Truman Road. The one hundred year old brick home seems quaint and plain from the front, but it is adjoined by a building containing 12 massive limestone jail cells. Enter the freshly incorporated Jackson County Historical Society with the hand of former president, Harry S Truman, making the first restoration fund-raising campaign call in 1959. Ever since that brush with the wrecking ball, the Jackson County Historical Society has owned and operated the 1859 Jail Museum. The brick and limestone buildings hold an intense history that starts with the Missouri-Kansas Border War through the Great Depression. The building, owned by the Jackson County Historical Society, is listed on the National Register of Historic Places. Read the nomination form. For the amount of $11,844.20 in 1859--the 2013 equivalent of $325,893.07--the county built a jail and home for the marshal. The brick, Federal style house and adjoining limestone jail was designed by Asa Beebe (AB) Cross, "the pioneer architect" based out of Kansas City. In between the jail's construction in 1859 and the final decommissioning in 1933 a lot happened in the limestone cells--we call it history. Guerilla raider, William Quantrill, met an angry mob upon his release from the facility. Scores of Women and Children were detained behind bars during Order Number 11. The infamous Frank James roamed the halls of the jail and read many a classic book in his cell. In the 1900s inmates were chained together and put to work building new roads for a rapidly developing county. After the last jailer hung up his keys, the county found a use for the jail and home when it housed several offices, work training programs and government bureaus during the Great Depression. To truly unlock the history of criminals and everyday folk in the home and cells, we recommend a walk through the old lock down and a stroll through the big house. You can see the cell where Frank James lived for six months, the home where the Marshal's family lived and touch the mighty limestone and tremendous iron doors guarding each cell. Find out the true meaning of "Frontier Justice" within these walls. 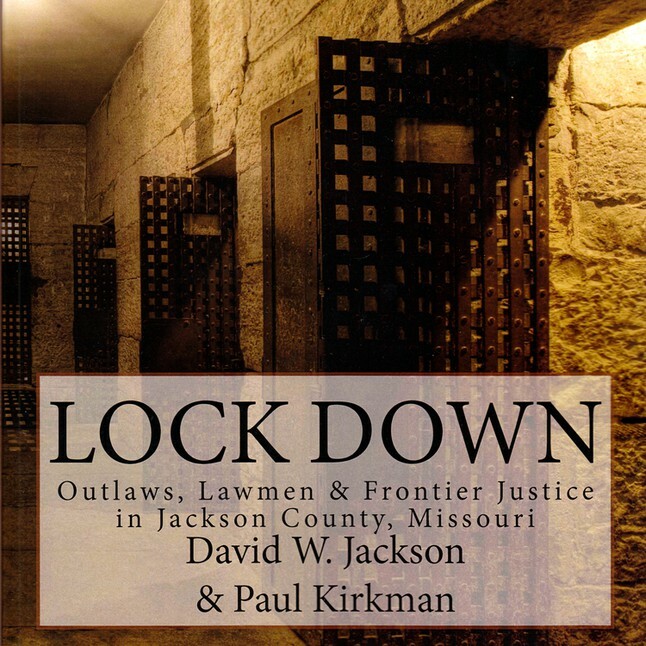 And if that doesn't quite satisfy your appetite for penal history we have our very own book, LOCK DOWN, about the building's history including lots of information about the people held in the cells, the Marshals who inhabited the home and the changes in decor over the years. You can purchase it in our online bookstore. JCHS does allow Paranormal Teams to investigate the 1859 Jail Museum. We recommend 12-15 people for these type of events, and they must be booked at least 4 weeks in advance. JCHS charges $300 for private investigations, half is due to reserve your date, and the other half is due the date of your investigation. There are no refunds if you do not show up on the agreed upon date. All groups are welcome and encouraged to bring their own equipment on investigations. For Paranormal Teams or Companies who want to rent out the 1859 Jail Museum for public investigations for 3rd parties, contact Caitlin Eckard for pricing, ceckard@jchs.org. The 1859 Jail Museum can hold up to 20 people for the public investigations. The museum welcomes visitors from April 1 through October 31. We reopen for the holiday season with "Spirit of Christmas Past," November 23 through December 30. Visiting hours are 10:00 am to 4:00 pm Monday through Saturday; 1:00pm to 4:00pm Sunday. The site is closed December 31 through March 31 for maintenance and refurbishment. GROUP TOURS FOR 10 OR MORE PEOPLE ARE AVAILABLE BY ADVANCE APPOINTMENT ONLY. LIMIT 20 PEOPLE PER TOUR. We are happy to provide area school children with educational tours of the 1859 Jail Museum. Please submit a request and we will contact you to confirm details. Please note we can only accommodate 20 people per tour.